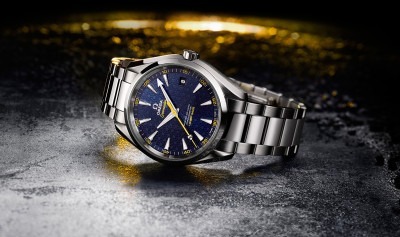 The OMEGA Seamaster family welcomes a new limited edition model inspired by the world of James Bond.In anticipation of SPECTRE the 24th James Bond film scheduled to release in 2015, OMEGA has created a limited edition Seamaster Aqua Terra 150M model inspired by the Bond family coat of arms. 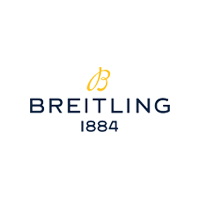 The symbol is repeatedly interlocked to create a dynamic pattern on the watch’s blue dial. The coat of arms is also found near the tip of the yellow central seconds hand. Among the most striking elements of this 41.5 mm stainless steel timepiece is the oscillating weight of the movement visible through the sapphire crystal caseback. This component has been cut and shaped to resemble a gun barrel, a design feature associated with James Bond. Powered by the completely new OMEGA Master Co-Axial calibre 8507, this timepiece is resistant to magnetic fields greater than 15,007 gauss. 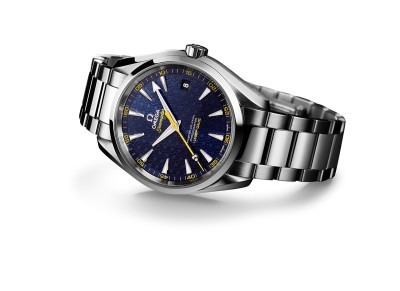 The timepiece is presented on a stainless steel bracelet and will be produced in an edition limited to 15,007 pieces. It is delivered with a full four-year warranty and will be available in store imminently.